A board’s responsibilities are all-encompassing, but at the foundation of every decision the board makes should be devising ways to deliver great value to members while ensuring the safety and soundness of the credit union. 1. Membership growth. To stay relevant in the market, you need to sustain growth. If your credit union is experiencing only marginal membership growth, or if you’re losing members, it is imperative that you recognize this as a key issue for your organization. Minimal or negative growth should immediately signal leaders to analyze contributing factors. Field of membership: Is your field of membership too small or shrinking? Competition: Has increased competition from other credit unions, banks, and non-banks eroded your credit union’s market share? Ask yourself: Are you serving a desirable, growing market, and do you have the ability to compete now and in the future? 2. Deposit growth. Deposit growth should be monitored and compared to overall market growth among both banks and credit unions. Asset size is highly correlated with economies of scale. Thus, if your credit union is growing at a rate below the industry average, historically around 10 percent, your sluggish gain in membership might be a signal to reconsider your strategies. In our article, The Future of Credit Unions — Average CU $2 Billion Assets, we noted the largest peer group in our study, those with assets of $500 million or more, were also able to enjoy the largest growth, growing assets by over 9 percent on average over the study period. Those in the smallest bracket of our study, CUs with less than $10 million in assets, were actually enduring negative growth, placing them in ideal positions to consider merging with another credit union. When you look at the future of credit unions, you have to wonder if the gap between the large and small is growing. Will future years feature a world filled with mega credit unions? Can you imagine a world where the average credit union is $2 billion in assets? Track. You should be tracking deposits of bank branches and credit unions in your geographic market annually. Strategize. Incorporate this tracking into your annual strategy planning process. Assess. Determine if your credit union is maintaining or losing market share. Review. Understand your credit union’s capability to compete with new entrants in the market an devise strategies accordingly. Ask yourself: Is your credit union poised to compete in a market of credit union giants? 3. Net worth ratio. This ratio is a function of return on assets and deposit growth. Neutrality or growth in this situation signifies stability. A ratio that’s either too high or too low could be a signal of issues within the organization. NCUA defines a healthy net worth ratio at 7 percent or greater, a number indicative of well-capitalized establishments. As a potential merger target, however, a net worth below 10 percent could make your organization less attractive and provide you with fewer choices in terms of merger partners, because many acquiring credit unions do not want to dilute their own capital ratios. High net worth ratio. High net worth is generally a good thing from a safety and soundness standpoint. It can also be a strategic advantage in a high rate environment, as this is essentially a no-cost funding source. However, a high net worth ratio can also be a symptom of a lack of asset growth. There are many examples of credit unions with positive earnings and negative asset growth whose net worth ratios have skyrocketed. These same credit unions often fail to reinvest in growth initiatives, thus eventually causing their own demise. One of your board’s responsibilities is to ensure the credit union’s long-term survival by balancing growth and profitability. Ask yourself: Does your credit union have an emergency plan if its net worth ratio declines to certain thresholds? If your credit union wishes to maintain or grow its net worth ratio while maintaining market share in an area where deposits are growing at an annualized rate of 10 percent, you’ll need a very strong ROA, likely in the area of 0.8 percent to 1.2 percent, depending on your level of capital. C Myers Corp., Phoenix, offers a net worth calculator that could help guide you toward your optimal ROA range. Ask yourself: Does your credit union have the earnings potential to keep up with market growth, or will your credit union continue to fall further behind? 5. Loan-to-share ratio: This is a good measure of your credit union’s ability to lend, and a high ratio is necessary to generate the earnings (ROA) necessary for long-term sustainability. Loans power a credit union’s earnings, so you should be able to gauge your organization’s loan growth in comparison to those of your competitors over the last three years, including other credit unions, banks, and the market overall. Be mindful not to compare yourself solely to asset-size peers, as they may be unhealthy performers. One of your board’s responsibilities should include evaluating your real competition based on other financial institutions within your market that are larger than your own. Ask yourself: Does your credit union have the resources and infrastructure to build and maintain a consistently high loan-to-share ratio? 6. Operating expense/asset ratio: This is a good indicator of your credit union’s ability to compete in the open market and provide a financial return to members. A board’s responsibilities should include the assessment of strategies in long-term scenarios. As a board, it’s your responsibility to make sure staff is driving down your expense ratio to ensure a competitive market position. In 2015, according to NCUA, credit unions with $10 million to $100 million in assets had operating expense/asset ratios of 3.6 percent as compared to 2.9 percent for credit unions with assets exceeding $500 million. This 70 basis point difference can be redirected as better rates and fees for members. A good expense ratio is fantastic, but keep in mind that costs can’t be cut to the extent that your credit union is prohibited from investing in its future. Ask yourself: Do you have an expense management strategy that will allow your credit union to be rate competitive and profitable? 7. Marketing expense/asset ratio. A lack of awareness is one of the major impediments to growth. Your board should be able to discern whether you have sufficient resources to build a pipeline of new business in the long run. Be sure to look at both the marketing expense/asset ratio, as well as the total marketing expense of your organization. Beyond the ratio, be sure you understand how your total marketing expense is being used. Ask yourself: Do you have sufficient resources to continually build new business and grow going forward? 8. Delinquent loans/loans ratio: Delinquent loans are often a precursor to financial troubles. You need to understand how the underlying metrics of your loan portfolio play out in the bigger picture. One of your responsibilities as a board is to understand how changes in membership base, such as unemployment, may threaten your portfolio. Ask yourself: Is your delinquent loan ratio growing or stable? 9. Cost of funds/assets: Your credit union’s costs of funds is a function of dividend rate and deposit product mix. 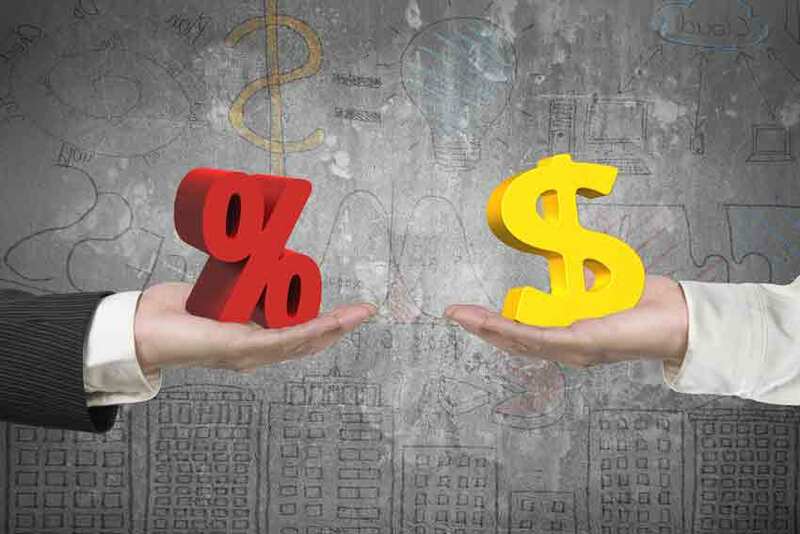 Deposit rates play an important part in a credit union’s ALM strategy and deposit growth. Additionally, they are a method by which you can offer a return for membership. Larger credit unions generally have the benefit of offering better rates to their members. As a credit union, your ability to provide excellent rates is contingent upon your ability to generate income and a low expense ratio. One of your board’s responsibilities should be comparing your cost of funds to those of other credit unions and banks to procure key insights about your organization’s value proposition. Ask yourself: Does your credit union have a revenue and cost structure that allows your organization to provide a market competitive return? Once upon a time, credit union mergers were usually performed only out of necessity. In today’s vibrant marketplace, however, strategy tends to be a driving force for many credit union mergers. One of your board’s responsibilities is finding ways for your credit union to be competitive. By recognizing deficiencies in some of these areas, either current or projected, you may discover that now is the time to begin exploring the possibilities of a merger. Be mindful that it’s key to address these issues sooner rather than later, as a higher net worth ratio affords credit unions far greater negotiating power. Your credit union’s board needs to include a look at the interplay of all these ratios. As a leader, you need to ask yourself what the best course of action is for your organization. Should you go it alone, or should you join forces? View Video: Is Now The Right Time For A Merger? This article was published for CUES Board Resources in May 2016.